Are you looking for an excellent carpet cleaner in Sebastopol? Look no further than North American Chem-Dry. We offer state-of-the-art carpet cleaning using a technique we’ve put years of experience, research and development into. Don’t settle for less. Our proprietary Hot Carbonated Extraction (HCE) method is what gives North American Chem-Dry its edge. This specialty carpet cleaning method allows us to give your carpets a deeper clean. Additionally, we don’t use any harsh soaps or chemicals, so you know it’s safe around your kids and pets. What’s the secret to our superior cleaning? It’s our proprietary hot carbonating extraction (HCE) method, which Chem-Dry has spent 40 years researching and developing to ensure that we have the best technology in the industry. Our HCE cleaning process allows us to provide a drier, cleaner, and healthier clean than other carpet cleaning methods out there can. Learn more about how we’re able to provide such amazing results in this video or by reading on below. Other cleaners clean by pumping lots of water into your carpets and then trying to extract it all. Unfortunately, this usually leaves a lot of water in your carpets, which can take days to dry. Because we use 80% less water, when we clean carpets they dry in hours, not days. This means you can get back into your everyday routine much faster, and you don’t have to worry about wet socks. The secret to our cleaner carpets is the carbonated bubbles in the HCE method. These bubbles are able to burrow deep into the carpet, where dirt and grime are hidden. They then explode these contaminants to the surface, where our powerful yet gentle equipment is able to extract them. Additionally, we don’t use any dirt-attracting soap, which can actually cause your carpets to soil again quicker. 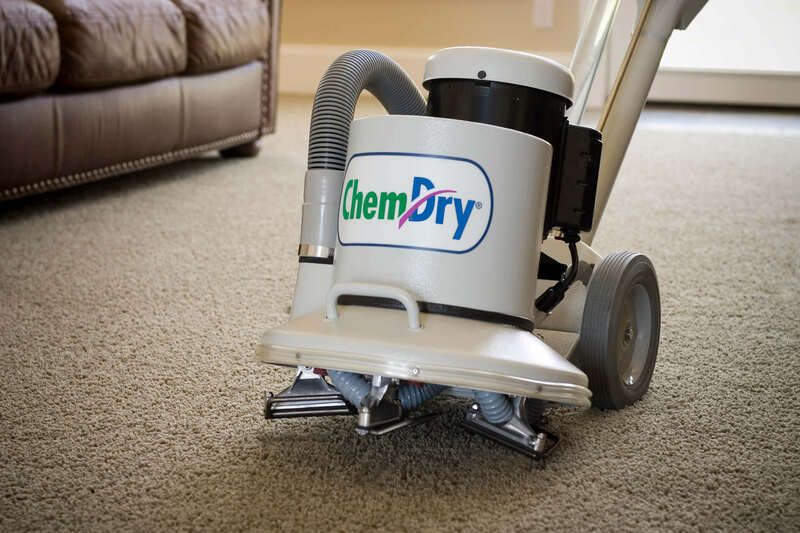 When you use North American Chem-Dry in Sebastopol, you can be confident that you’re getting cleaner carpets. Drier and cleaner carpets also mean healthier carpets. Wet carpet is the perfect breeding ground for mold and mildew, which can trigger allergies and cause health issues. Because our carpets dry much faster, there is less of a risk of this happening. Additionally, an independent air quality lab found that our HCE method removes 98% of common allergens in your carpets and upholstery, and when a sanitizer is added, 89% of bacteria is removed for your indoor air*. That adds up to a safer carpet cleaning that is healthier for you, your family and your home. It’s also safe to use our cleaning solutions around young kids and pets, so no worries there! One of the biggest concerns people have is stains in their carpet, from pet urine to red wine. We are experts at dealing with virtually every type of stain. We even have a specialty pet urine removal treatment that removes both the odor and the stain left from dog or cat urine. We’re also great at removing tricky red stains, which other carpet cleaners in Sebastopol might not be able to do. Our motto about carpet stains is “If we can’t get it out, no one can!” Put our expert stain removers to the test by booking your appointment today! We don’t only clean carpets; we’re also proud to offer upholstery cleaning here in Sebastopol. We use the same carbonated technology that we use to clean your carpets to clean your furniture, so you know you’re getting the best service possible. Whether you have a leather sofa, white love seat, or anything in between, we can clean any type of furniture and remove virtually any stain or spot from any upholstered surface. If you’re looking to get both your carpets and your upholstery cleaned in one go by a cleaning professional you can trust, North American Chem-Dry is the choice for you!